Let's transform your health and claim your radiance! Lyndi Rivers has been practicing yoga since 1995, teaching since 2007 and offering yoga therapy sessions since 2009. Since graduating she has continued to deepen her knowledge of yoga and has been additionally certified in Kids Yoga, Pre-Natal Yoga, Yin Yoga and Restorative Yoga. As a yoga therapist, Lyndi deeply believes in the healing power of yoga. She completed Amy Weintraub's LifeForce Yoga Practitioner training, Maria Mendola's Functional Yoga Therapy therapy, Neil Pearson's Pain Care Yoga, Leslie Howard's Pelvic Floor Yoga and has her 800hr certificate in Integrative Yoga Therapy. Lyndi is a certified Yoga Therapist C-IAYT as recognized by the International Association of Yoga Therapists. With a variety of yoga offerings, you are sure to find your place in one of Lyndi's teachings: group yoga classes, therapeutic classes, yoga parties, private yoga sessions and yoga therapy. Lyndi currently teaches at 2 locations in Tucson, AZ. Find the perfect class for you! Bring awareness, relaxation, movement and strengthening to the root of your body. 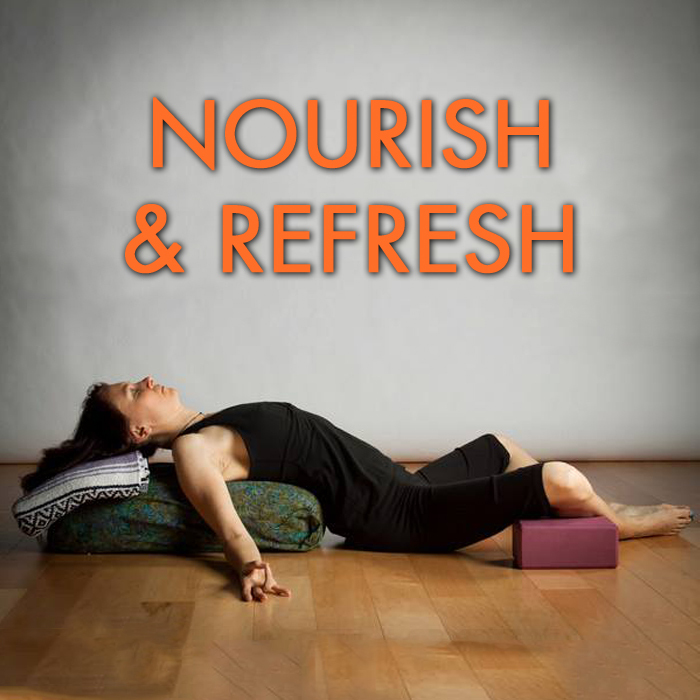 Nourish your nervous system, release muscular tension, and refresh your spirit. Lyndi is currently offering individualized yoga therapy sessions on Sundays and Tuesdays.